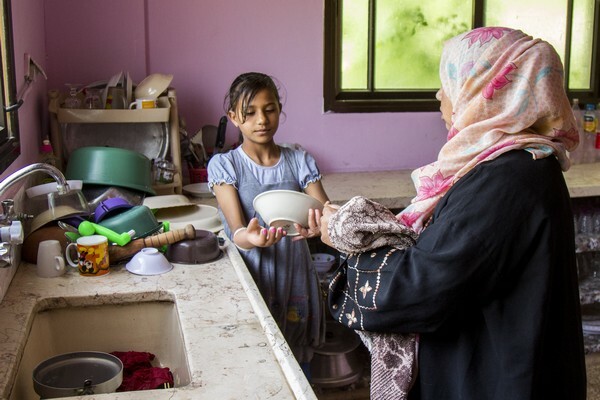 “I thought it was a toy before it exploded in my hand,” says Doaa Yasseen, 11 years old, in her home in Gaza City, where she picked up an unexploded remnant from past conflicts. More than a year after the incident, Doaa is still adapting to the changes in her life. The psychosocial support she has been receiving from the ALPC is helping her to regain her self-confidence. It was the noon of 6 May 2015. Doaa was on her way home from school when a strange object on the side of the road caught her attention. Curious to see what it was, she took it and started playing with it in front of her grandmother’s house. The innocent game finished with the device exploding in her right hand. Doaa’s eldest brother, Tamer Yaseen, 24, heard the explosion while he was inside the house and ran outside. He found Doaa on the ground, with blood splattered around her. He rushed Doaa to Al-Shifa Hospital, the largest medical complex and central hospital in the Gaza Strip. 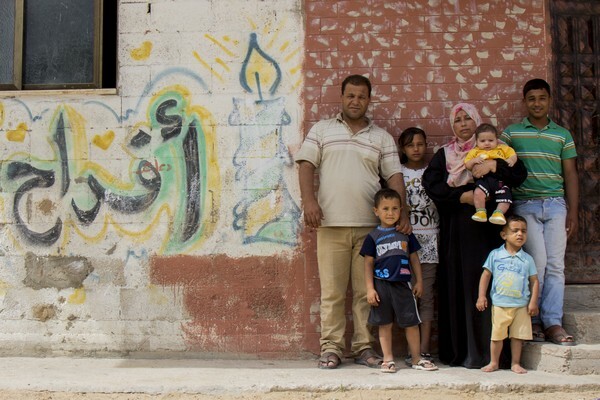 Alaa Yaseen, Doaa’s father, is a 40-year-old construction worker, who has lost his regular job due to the restrictions on the import of basic construction materials in the Gaza Strip. He received a call from his wife Fadwa telling him that Doaa was in critical condition. Upon arriving at the hospital, he pleaded with the doctors to save Doaa’s hand. The Ministry of Health in Gaza obtained the medical-transfer documents to take Doaa to the hospital in Nablus. There, Doaa underwent no less than eight surgical operations. Due to the complexity of the interventions, she was hospitalised for a total of 52 days. “When I could finally be released, my school exams had finished. The school organized a special committee for me to take the exams and, after passing them, I was promoted to the fifth grade,” says Doaa. 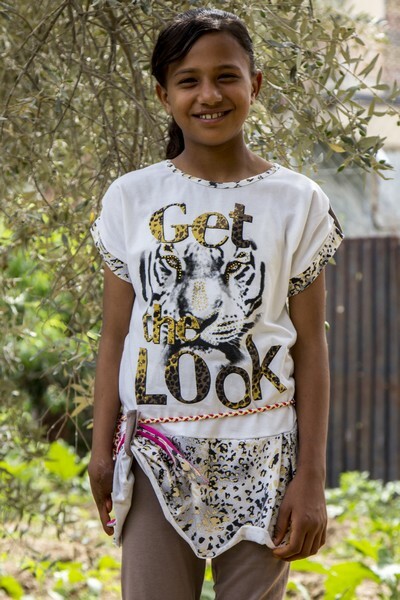 Doaa is one of 10 children in her family – six boys and four girls. The firstborn, Tamer, lives in the family home with his wife and two children. According to Fadwa, the whole experience with Doaa has emotionally strained their family. “[Doaa] sometimes feels vulnerable and overwhelmed. She asks me why it happened to her and she hides in her room when we have visitors. The whole family is supporting her. We do not have much savings and our income is very low. But we bought her a tablet when she left the hospital. Her brothers understand that Doaa needs our attention,” says Fadwa, while playing with her daughter in her room. Adam, who at three years old is Doaa’s youngest brother, has been the most affected by the incident. According to Noha Abu Sh’eera, the principle of Doaa’s school, she used to be one of the best students before the incident. Her performance has suffered since then, although it is still above average. “Her performance has been affected by the psychological consequences of her injury. 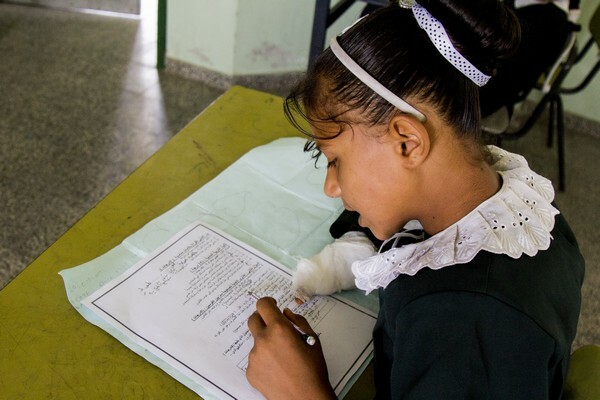 It is having an impact on her self-confidence; she covers her right hand with a white gauze most of the time when she is in the classroom,” says Noha. Doaa has also stayed away from school a few months to go through physical rehabilitation to learn to write with her left hand. Doaa first encountered the International Committee of the Red Cross (ICRC) at her school during an information session about unexploded remnants. The session aimed to promote safe behaviour among students and teachers. When staff met Doaa, they told her family that the Artificial Limbs and Polio Centre (ALPC) in Gaza City could get a prosthesis fitted for her. More than a year after the incident, Doaa is still adapting to the changes in her life. The psychosocial support she has been receiving from the ALPC is helping her to regain her self-confidence. “She helps me to wash the dishes and it is easier for her now to hold the tablet with the prosthesis. I hope that the support sessions with other children affected by unexploded remnants will help her to look ahead and have a bright future,” says Fadwa. Although it has been nearly two years since the last war in the Gaza strip, it is one of the areas in the world with the most number of explosive weapons in the ground. The consequences continue to haunt its population. Doaa is just one of many children in the area whose lives have been permanently altered by unexploded remnants. 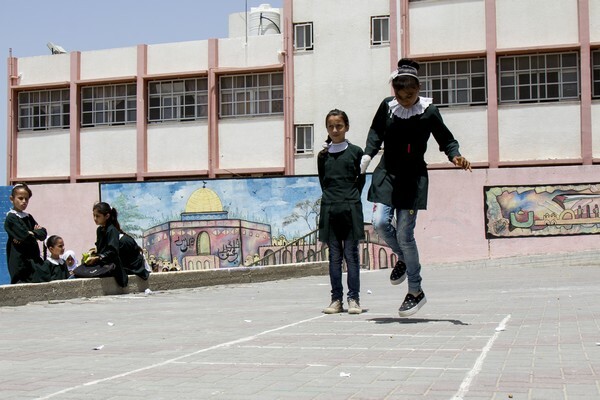 With one of the highest birth rates in the world, Gaza and its people continue to hope that one day children can play around without the fear of innocent games turning bloody. Jesus Serrano Redondo – Media Delegate and Spokesperson in Israel and the Occupied Territories.